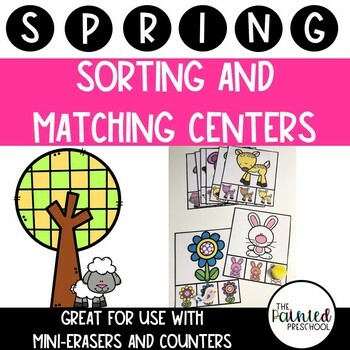 This Spring Sorting and Matching Centers pack includes activities to use both with mini erasers or counters, as well as with included cut-and-laminate spring pictures! These sorting mats are great for math centers, small group instruction, and to introduce concepts with preschool and pre-k students! Check out these other great resources!